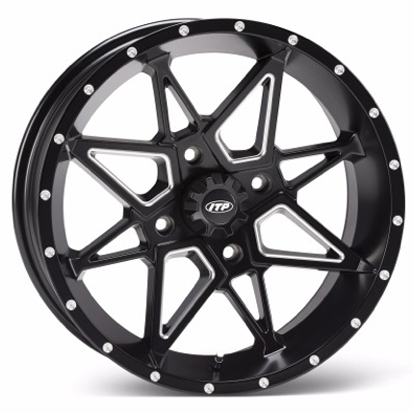 The second ITP wheel in the new "Storm Series" product line, the Tornado features a stylish eight spoke center configuration with beveled edges and an ITP exclusive "Rock Armor" inner wheel lip to provide additional strength. The tornado boasts a 1,200-lb. load rating and is backed by the company's "Lifetime Structural Warranty." The Tornado is one of the strongest cast wheels on the market, with strength attributed to its eight spoke center configuration.